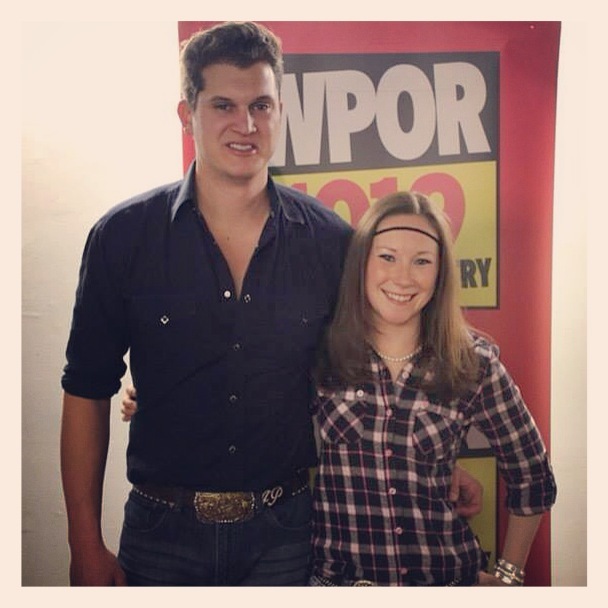 My favorite local country station, WPOR, hosted an invite only event with Jon Pardi on their private stage. Only way in was to win! I entered via text nearly every day, of course! During this past week, the Universe has provided me with so many awesome opportunities and blessings, and I am so grateful this was one of them! My first time seeing Jon Pardi was in December of 2013, and I will just nicely state that I wasn’t too impressed. Apparently during this show he was suffering from a knee injury and awaiting surgery in a few days, so I blamed his performance on this. Poor guy was probably in some pain! So I knew that I needed to give him the opportunity to redeem himself in my book next time he came around! Whether it is merely more stage experience over the past year or the fact that he was no longer in need of surgery, Jon definitely impressed me and won me over this time around! There were no more than 25-30 people at this intimate event, which made me feel even luckier to be there! It was held at The VIA Agency, a brilliant space in the heart of Portland’s art district, as part of a new live music series that they are hosting. Cozy and loft-like, it reminded me of being in someone’s living room. 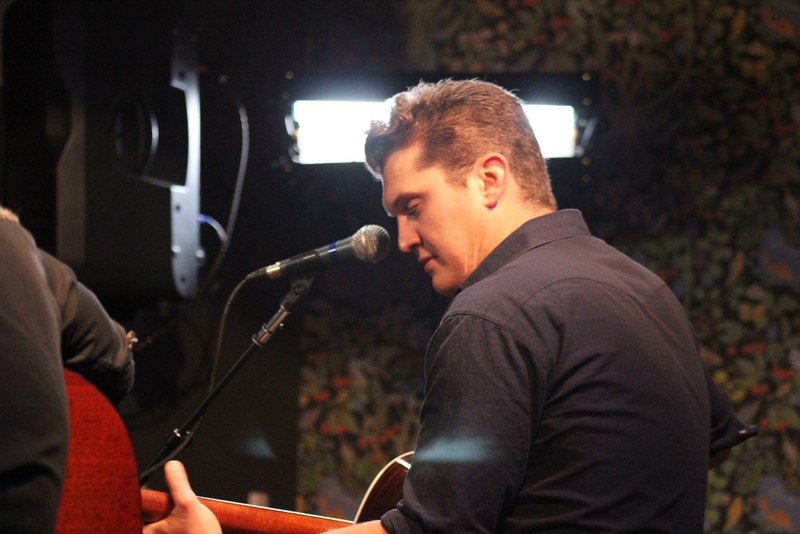 Basically, Jon Pardi performed 4 of his songs in someone’s living room that I happened to be sitting in! 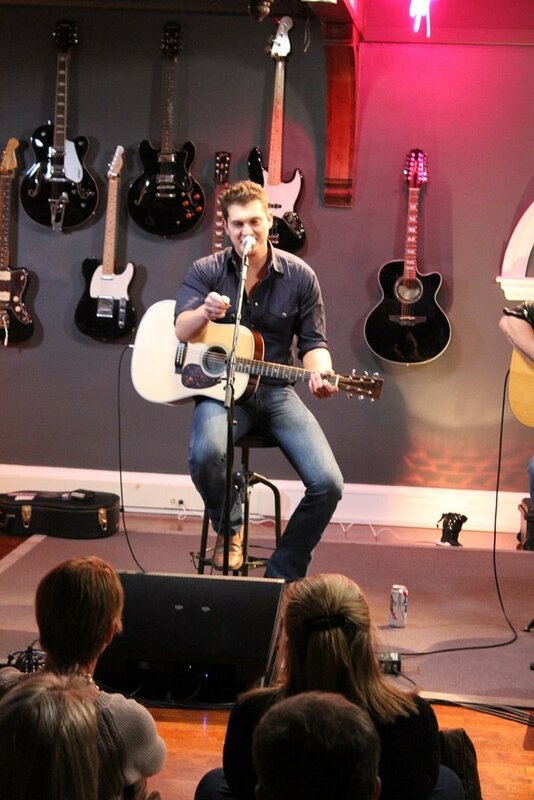 Behind him were several guitars displayed on the wall and the attic like space made for some awesome acoustics. A full-view of the quaint little space! Pardi describes his music as having a “fun and energetic kind of style” and stated that when he performs a show, he doesn’t want the set to be all slow songs… he wants the crowd to dance and have fun. For those of you familiar with Pardi’s songs, most of them involve drinking and partying… “just don’t tell the record label that!” he playfully joked. After playing When I’ve Been Drinkin’, Pardi informed us that he’s been known to drunk dial some girls numbers and in fact, it’s already happened a few times this year (and it’s only January!). He’s also been known to do some drunk online shopping on Amazon, and when the packages arrive, it’s like Christmas for him, opening the boxes with no idea of what is inside them! Pardi went through his other radio singles, including Up All Night, Missin’ You Crazy and What I Can’t Put Down while talking with the crowd between songs. Pardi is currently part of Alan Jackson’s 25th Anniversary Keepin’ it Country Tour and performed at the Cross Insurance Center in Portland later that night. I’m sure he was in a rush to squeeze in dinner and some pre-show drinks, but he took the time to have a quick meet and greet with all of us in attendance. It makes me so happy when artists take the time to do this for their fans! 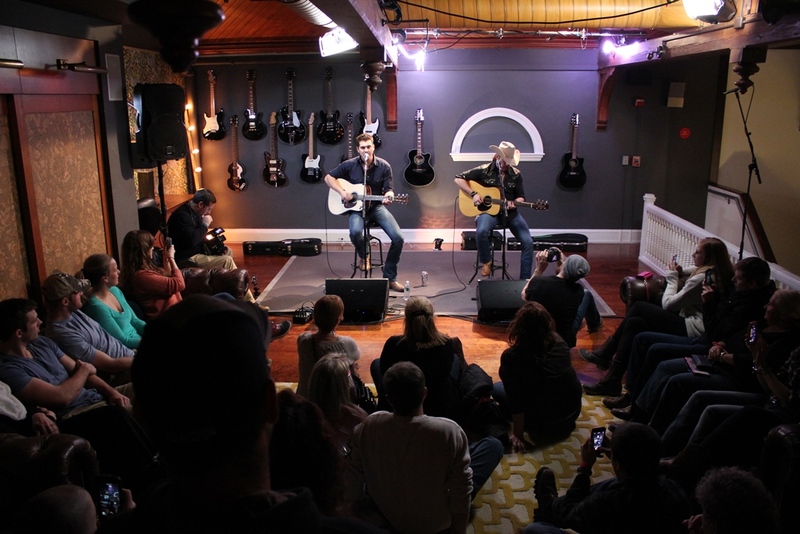 So glad to be a part of this and I would love to go back to The VIA Agency for another songwriter event. I loved the space and the vibes there! 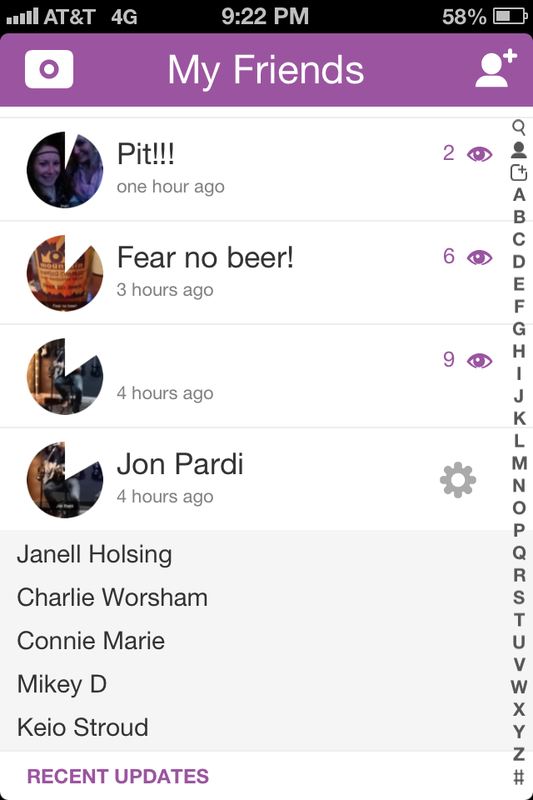 Random side note: CHARLIE WORSHAM viewed my snapchats of Jon Pardi’s private show! That was almost as exciting as being there! Charlie Worsham viewed my story!